Smythe Dakota wrote: Thank you, simon_blow_snow, for your concern (which you edited out, within seconds, after I made my post -- I'm sure I was the only one who saw it!). I have often wondered what it would be like to sneak back to life briefly, just long enough to attend one's own funeral as an invisible ghost, to see what people are saying about you. Alternatively, one could start a phony thread, on a forum like this, announcing one's own demise, and watch the reactions pour in. Better yet, one could just wait for someone else to discover something, then wait a while before setting the record straight. I might have had a little more fun, had I waited a while! Haha, you can imagine my shock when I saw your emerging post just after finished clicking "submit". Luckily I wasn't talking anything bad about you. Have to say the nice gentleman in that particular article in a certain way matched the public image you have been establishing here. For some reasons I find these Rook puzzles with a small board the most appealing. Perhaps the "obstacles" property adds some exotic feel to them. So look forward to a good "Bishop with obstacles" puzzle. Firstly, the  must be in R3C3 or R4C4. It cannot be in R3C3 as it would force R4C4= and nowhere to go for . Now the cells between  and  (R3C23) must be larger than them, only possibility: [16,15]. &  must be in two cells out of R12C2+R4C1 to connect to . So aside from [01,02,03], R12C34 must contain at least one of [07,08,09,10], call it [A]. 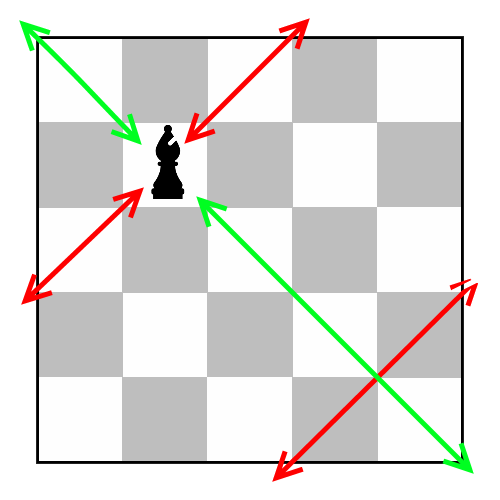 R12C2 cannot be [04,06], or they will block the path from  to [A]. Thus R4C1 must be  or . Hence R1C1 must be  or , R2C12 must be [10,09], R1C2 must be  or . But R1C12 cannot be [07,04] blocking the path from  to . To lead from  to , R12C3 = [07,08]. And finally R12C4 = [02,01]. After wasting a few hours over several days, I finally figured out the trick to solving this one. Since nobody else has posted yet, I assume nobody will object if I divulge the clue I finally figured out. Just go to various obscure cells (corners, near-corners, etc) and ask yourself "what can go here?" -- "this cell must lie on the path from what to what?". Fill in the "what's" with various givens. For example, can the upper right corner cell be on the path from 1 to 6? Nope. From 6 to 8? Nope. From 8 to 10? Nope. From 10 to 21? Well, maybe. From 21 to 27? Nope. From 27 to 33? Nope. From 33 to 45? Nope. From 45 to 53? Nope. From 53 to 59? Nope. From 59 to 1? Nope. The only possibility is from 10 to 21. This path can barely be stretched long enough, so immediately the value in the upper right cell is forced, along with five others, and four more are severely limited. Once I figured out that trick, the complete solution took only about 15 more minutes. .. .. .. .. 01 .. .. ..
.. 21 .. .. .. .. .. ..
33 .. .. .. .. .. 53 ..
.. 27 .. .. .. .. .. ..
06 .. 10 .. .. .. .. ..
.. .. .. .. .. .. 59 ..
Nice puzzle! I manually solved it. 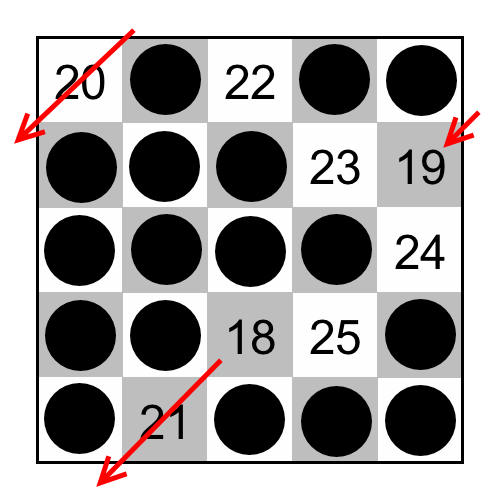 Even knowning Bill's hint (path from move 10 to move 21 must come through upper right corner) I spent an hour or more to solve it. 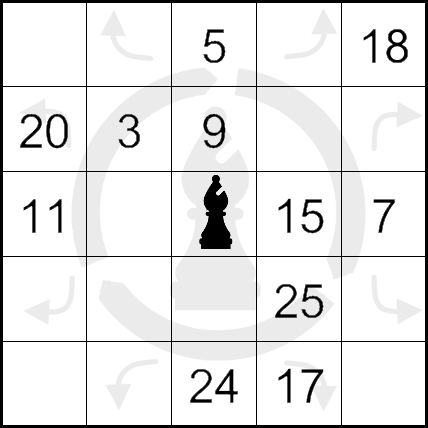 It turns out, this puzzle is not minimal, because it still has unique solution after move "1" removal. 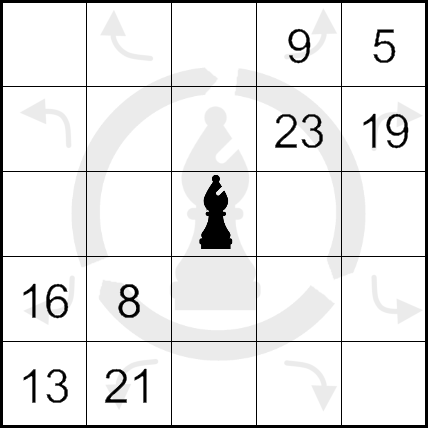 (No other moves can be removed provided the puzzle must have unique solution.) I think human cannot solve this puzzle after move "1" removal. tarek, thank you for your puzzles! That's why sneaking back to life to visit one's funeral would be so enlightening. What people say about you after you're gone would almost certainly be different from some of the things they said before. .... Have to say the nice gentleman in that particular article in a certain way matched the public image you have been establishing here. I was thinking that, too. We're both math semi-geeks, in various strange ways. And we're both somewhat musical -- again, in strange ways. I think Tarek feels a moral obligation to always explicitly include 1 as a given in his closed tours -- along with a high number, in this case 59, which requires a maximally efficient path to the 1 (i.e. no horizontal backtracking or vertical backtracking between the two). This helps drive home the point that it is a closed tour. Just wondering how tarek has been going about creating that 5x5 (or higher) bishop's toroidal tour puzzle? I attempted the bishop & found it needs some work because a square cane be attacked from 2 directions (The same can be said about toroidal Rook & Toroidal Queen on even length boards). 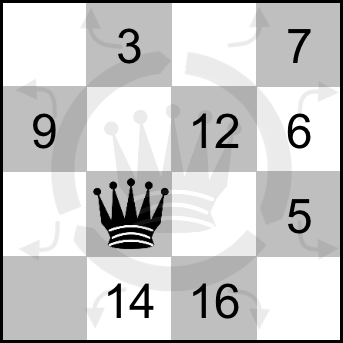 A queen on an odd length board can attack a cell from 4 directions. Finally, a desired update (7 years!) 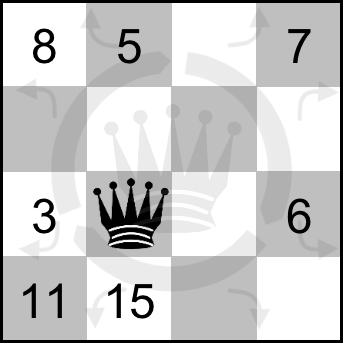 .... We left things at a point where a toroidal tour puzzles for Rook, Queen & Bishop were needed. 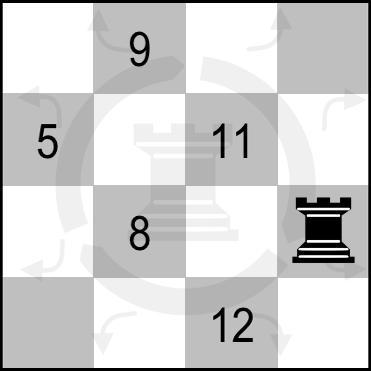 I'll start with the Rook: With the toroid there are 2 ways to reach the same square sharing a line with the rook. If there is an obstacle from one direction the only alternative is to go the other direction. If both directions have obstacles preventing you from getting to that square then you have to choose an alternative path. To get from square 6 to square 7 theres only one way as the downward path is blocked by the obstacle created by visiting square 5. As the board has a toroidal property then moving in an upward direction will achieve this goal. 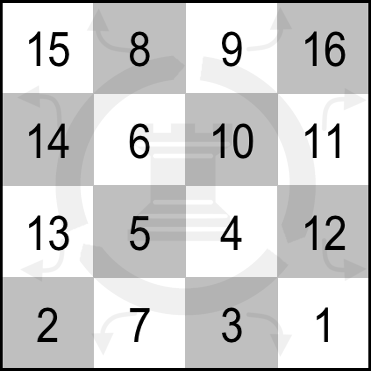 The fact that square 16 is one move away from the starting square 1 and without obstacles between them (Remember this is a toroidal board) means that we have a closed tour with obstacles. 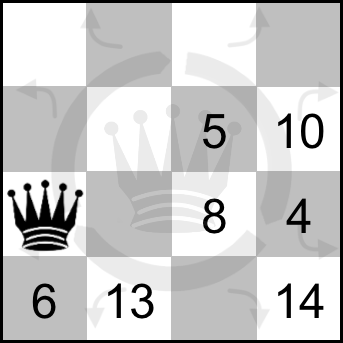 With the Rook, this means that the last square visited has to be adjacent to the 1st square. 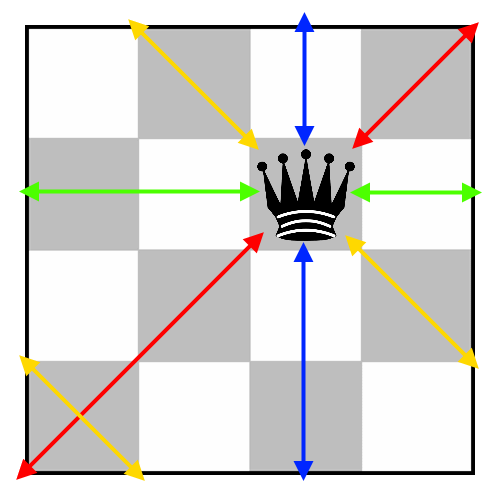 The bishop at r2c2 can reach any of the squares r1c1, r3c3, r4c4 and r5c5 from 2 directions: moving diagonally in an upward-leftward direction or in a downward-rightward direction. 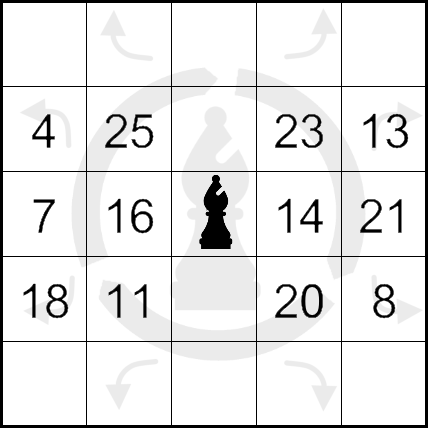 What needs practice is to see that it can visit any of squares r1c3, r5c4, r4c5 & r3c1 from 2 directions: in an upward-rightward direction or in a downward-rightward direction! 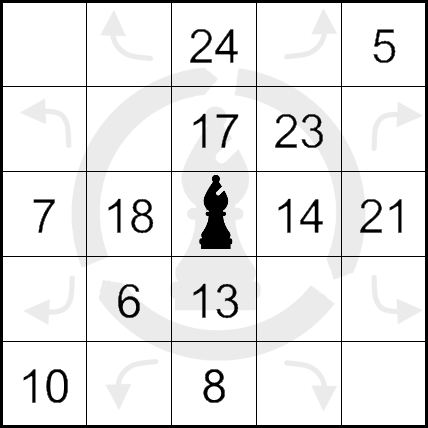 the Bishop has already made 17 stops on 17 squares and planted an obstacle on each. To move from square 18 to 19 there is only one option! simon_blow_snow in 2012 wrote: It's been a while since the last update. Last edited by tarek on Sun Mar 03, 2019 8:47 pm, edited 1 time in total. Monty Python wrote: There's a dead bishop on the landing! 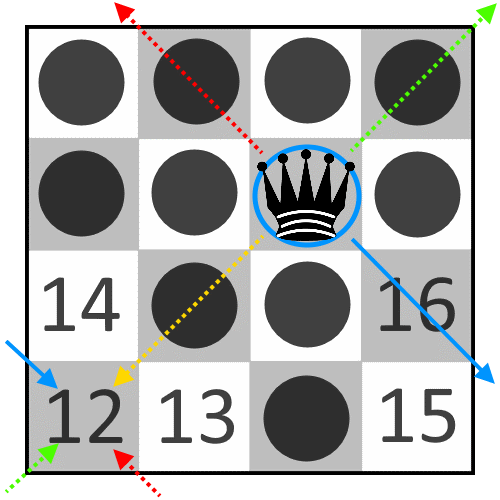 The path of the queen to r4c1 (which is N/2 diagonal squares away on an Even number of squares per line board) is blocked from 3 of the 4 potential directions. 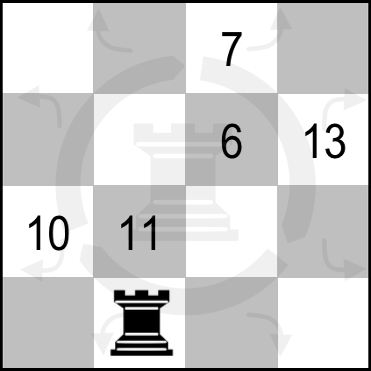 Toroidal Queen tour puzzles -understandably- are more difficult due to the powerful reach of this chess piece.